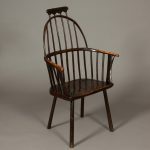 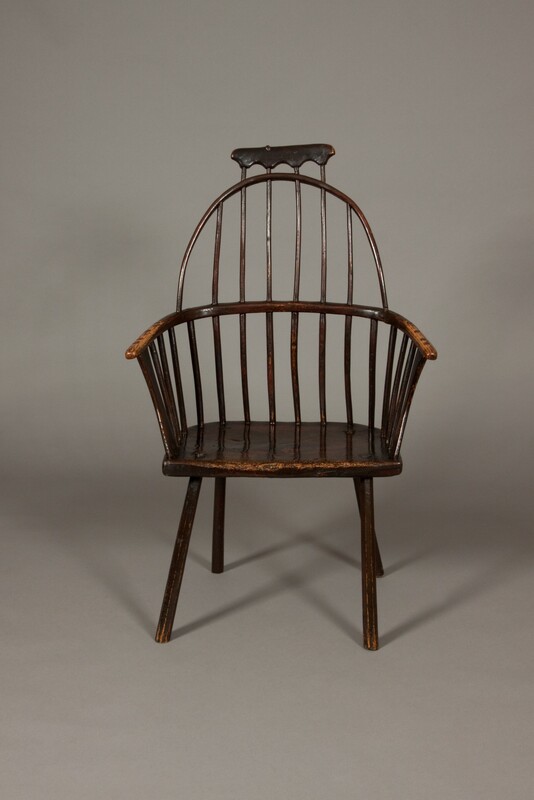 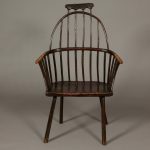 A rare primitive hoop-back stick chair of wonderful form, with a very unusual shaped cresting rail. 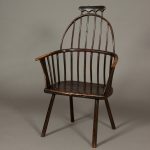 Made from Ash and Elm and retaining much of the original paint. 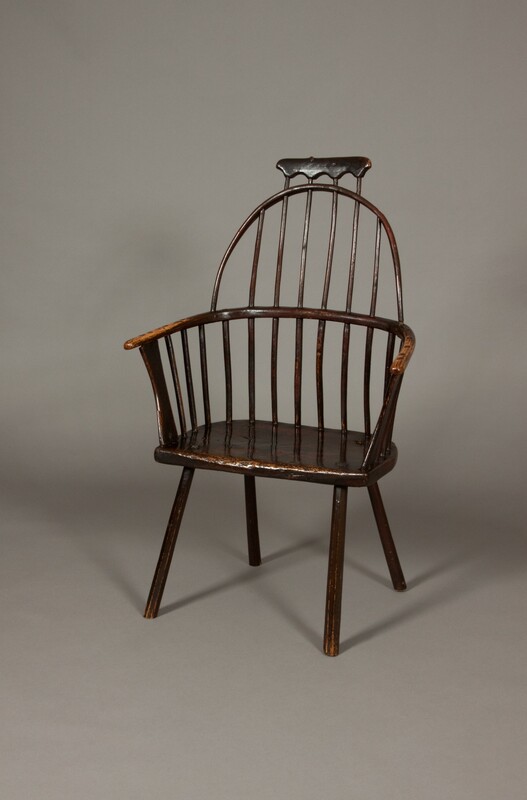 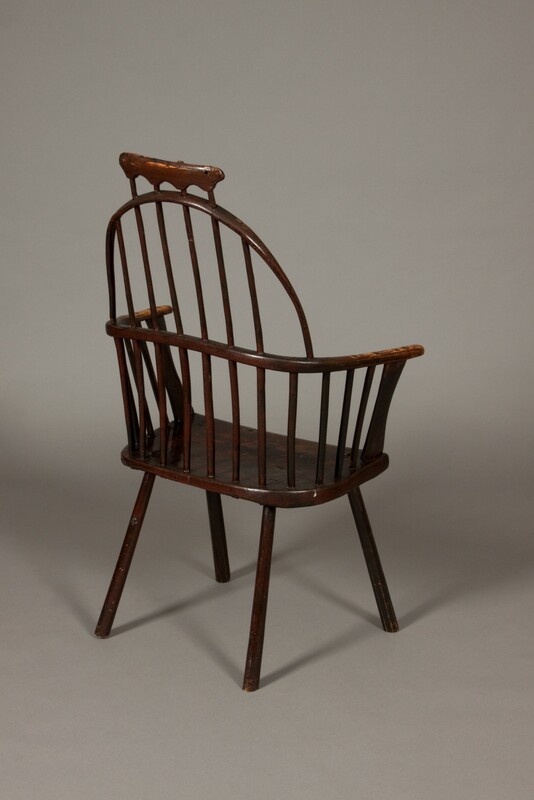 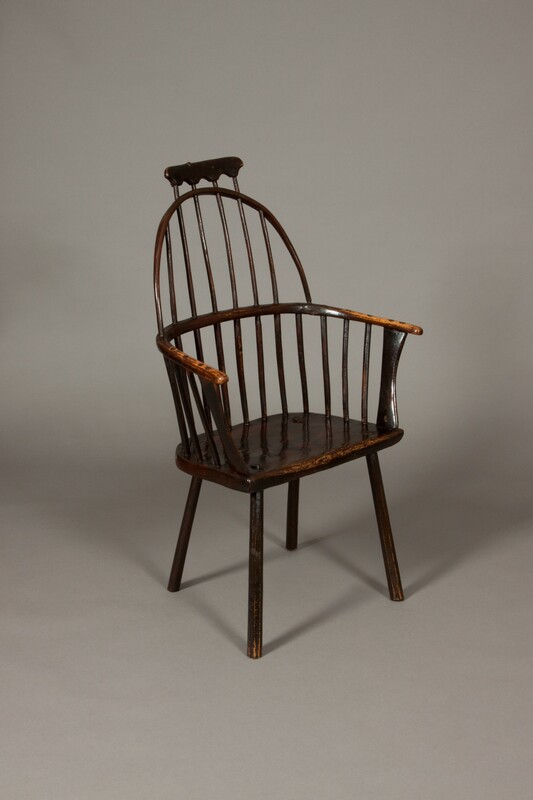 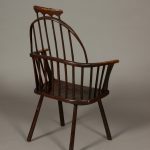 Provenance: This chair has been in the same Carmarthenshire family since at least the 1940’s which suggests a possible Welsh origin, although in “The English Windsor Chair” by Thomas Crispin (Alan Sutton publishing 1992) a similar style chair with comparable arm supports has a “West Country” style attribution.